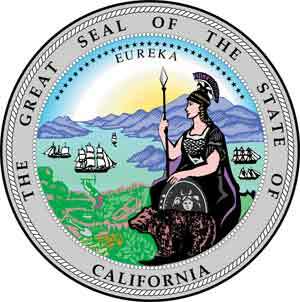 What are the California Marriage Requirements? How do you get married in California? California law states that, in order for you to legally marry in California, you need to do two things. Apply for a California marriage license before your wedding ceremony. You’re lucky, because Officiant Guy can help you. a) He can provide a California wedding license to you. b) He can fill it out for you. c) He can provide you with a notarized temporary proof of marriage until the marriage certificate arrives in the mail. A marriage official must solemnize your marriage. 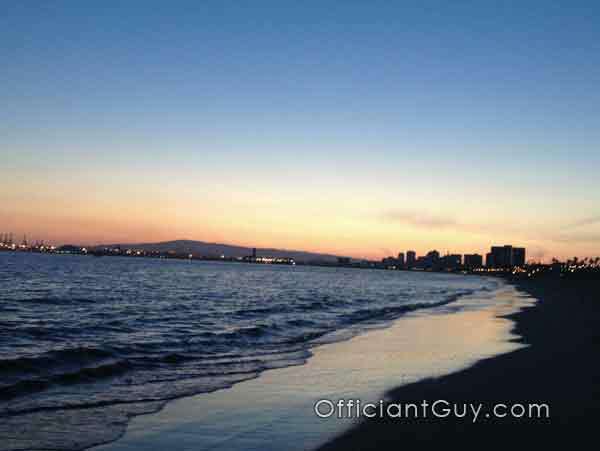 And again, Officiant Guy can also marry you anywhere in Southern California. Many officiants mess this next part up. After the wedding ceremony, your wedding officiant must file your marriage license with the County Clerk’s office within 10 days. The Los Angeles County Clerk Recorder authorized Chris as a special notary, so he files it there. Most wedding ministers send their marriage licenses by mail to the county, however, that can result in delays. AND it can be lost in the mail. We’ve seen it happen! Officiant Guy has a policy that he will only file a marriage license in person. Since Chris files his CA marriage licenses at the County Clerk’s office IN PERSON, unlike most officiants, your marriage certificate should arrive sooner. He makes sure that your marriage license actually gets there. Depending on the LACC workload, the marriage certificate and any certified copies of the marriage license should take many weeks to process. You must not be married to anyone else. You must be at least 18 years old. Sixteen years and over can marry with both parent’s signatures. You cannot marry your immediate family, however, first cousins can marry without restriction. The bride and groom must be mentally competent and coherent when in front of your marriage license issuer and your wedding officiate. You don’t have to have blood tests. You don’t have to wait. You can marry immediately after you get your marriage license. 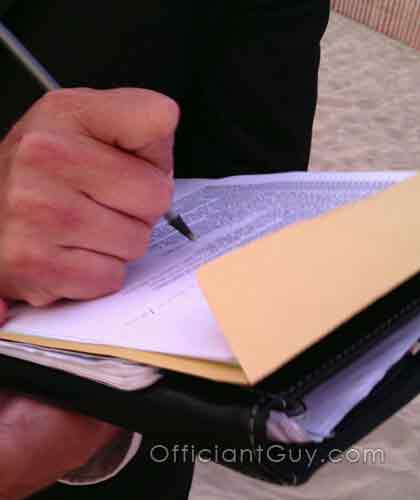 Officiant Guy is authorized to issue California confidential marriage licenses. Once the LACC receives your marriage license they review the information to make sure it’s precise. The County Clerk’s Office will then issue you a marriage certificate. You will receive this in the mail. They will file your marriage license at the LACC thereafter. Hopefully you ordered several certified copies in advance. If you did not order certified copies in advance, you must get a notary public to notarize your signature on an application.File that application at the LA Registrar Recorder County Clerk. It’s better to think ahead and order them at the same time as your marriage license filing. They are inexpensive and will save you the hassle later on. Officiant Guy recommends that you order at least two copies. Chris is the best wedding license officiant in California. Call him. You’ll be happy you did. Many couples are. 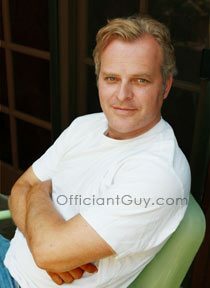 Chris Robinson is the Officiant Guy, is a Southern California wedding ceremony officiant. 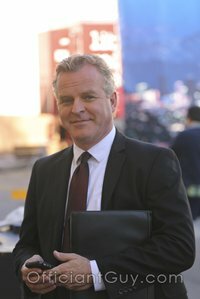 He has been performing wedding ceremonies and issuing Los Angeles confidential marriage licenses for over two decades. He could certainly perform any kind of wedding from a religious wedding to a nonreligious wedding with possible inclusions from Filipino wedding coins ceremonies to unity ceremonies. If you wish to get married somewhere in Orange County, LA County, or anywhere in So Cal give the top ceremony officiant in LA a telephone call at (310) 882-5039 or (562) 547-3255 or fill out the contact form.